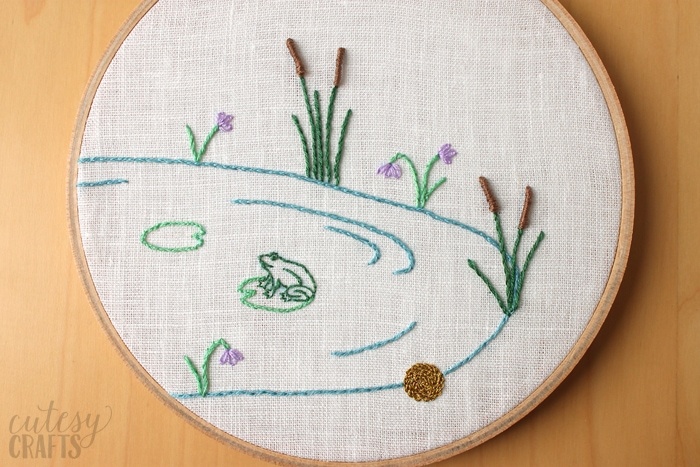 The Frog Prince was another fairy tale that fascinated me as a child, so I had to include it in my fairy tale hand embroidery series. This one is done on another small, 6 inch hoop, and is fairly simple to stitch up. To see the other hoops in this series, go here. 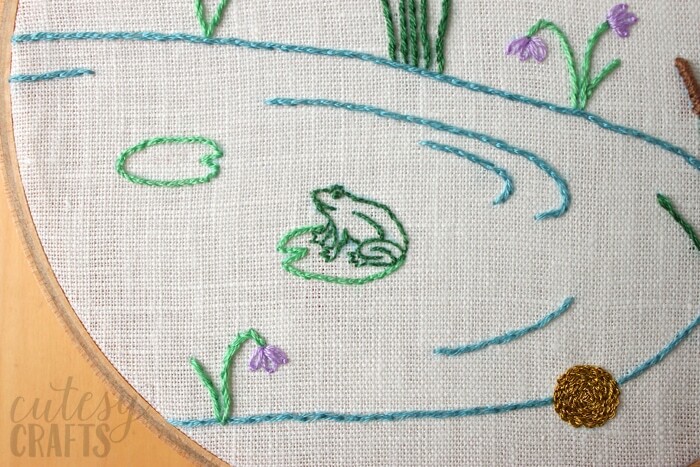 The hardest part to stitch was this little frog. Using just one strand of floss, it was very dainty work. He turned out so cute though! 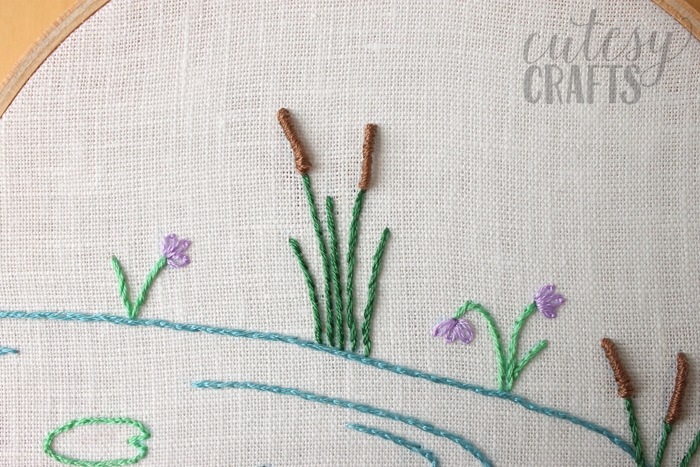 I used a new stitch on the cattails. They were done with a Bullion Knot. It took a few tries for me to get the hang of it, but I think they turned out pretty good. I love the dimension that it gives them. 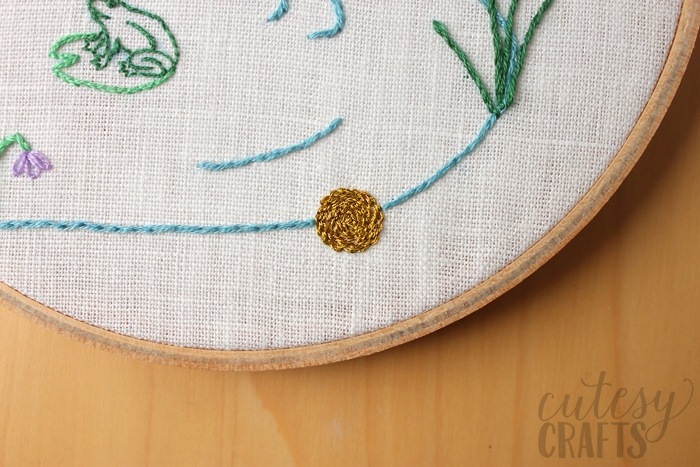 The golden ball was a bit of a pain with the metallic thread, but it turned out great. I tried to do a satin stitch at first, but that wasn’t working for me. 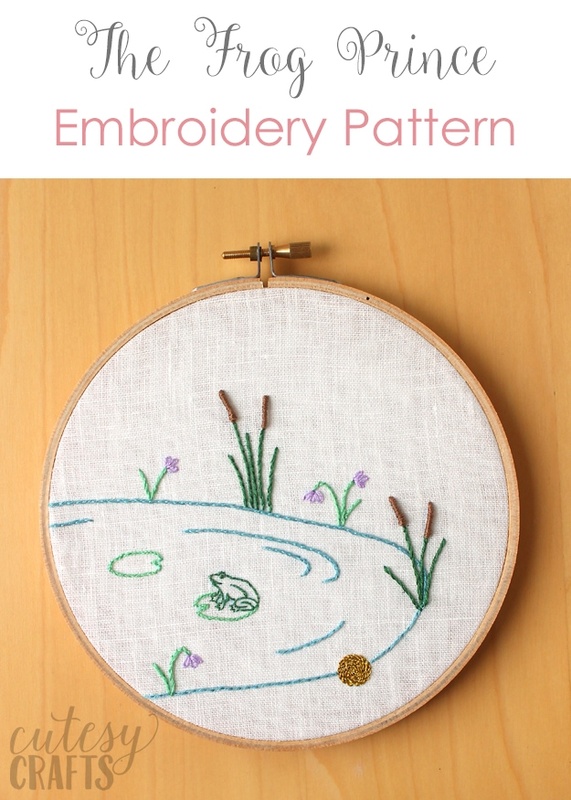 Instead, I just did a back stitch around the circle and continued to fill it in with more back stitch circles. It got a little messy on the back, but the front looks good. That’s all that really matters! Just one more hoop left in this series, so make sure to check back in for that. It’s going to be a Cinderella one. Thank you so much Jenna! You don’t know how happy that makes me to hear! Cinderella is giving me some trouble, but it should be up in next week or the week after. Haha!